Because participation in sports is an integral part of the educational experience for students in both public and private schools, it’s essential that school psychologists and counselors have a solid foundation to help ensure the well-being of student-athletes. School Sport Psychology is a comprehensive overview of this fast-growing field with guidelines for school psychologists who want to gain a better understanding of sport psychology to extend their skills and enhance their effectiveness. The book presents perspectives, programs, and procedures for working with administrators and coaches to help students develop physically, mentally, and emotionally. School Sport Psychology examines the practical interfaces between school and sport psychology, with an emphasis on parent and family involvement. Contributors representing sport psychology, school psychology, and clinical and community disciplines examine the theory, research, and practice of sport psychology and how its evolution parallels the development of school psychology. The book addresses the benefits and risks of using sport to promote the development of self-esteem, identity, and feelings of competence in students. 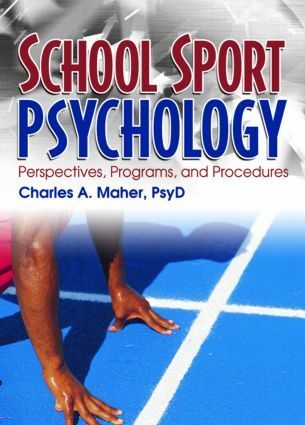 School Sport Psychology is an essential professional resource for psychologists, counselors, and health service providers.